Record Maritim II in Port D'alcudia is an apartment building. Apartment Port d'Alcudia offers a bright and spacious 3-bedroom apartments with a balcony with views over Port d'Alcudia and the sea. There is free WiFi available throughout. 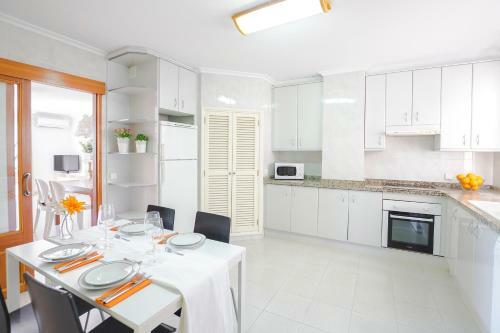 Each air-conditioned apartment comes with a fully-equipped kitchen including an oven and kitchenware; while the bathroom has a bath or shower. Bed linen and towels are provided. Restaurants, bars and shops are in the surrounding streets. Other facilities like grocery deliveries, water sports facilities and laundry facilitie...s are offered. Activities in the surrounding area include golfing, cycling and fishing. The property is 4.6 km from Natural Park S'Albufera de Mallorca; while Palma de Mallorca Airport is a 40-minute drive away. Apartment Port d'Alcudia offers a bright and spacious 3-bedroom apartments with a balcony with views over Port d'Alcudia and the sea. There is free Wi...Fi available throughout. 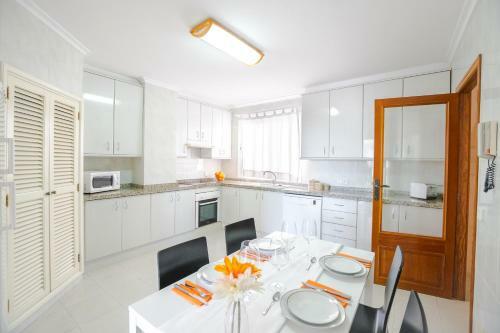 Each air-conditioned apartment comes with a fully-equipped kitchen including an oven and kitchenware; while the bathroom has a bath or shower. Bed linen and towels are provided. Restaurants, bars and shops are in the surrounding streets. Other facilities like grocery deliveries, water sports facilities and laundry facilities are offered. Activities in the surrounding area include golfing, cycling and fishing. The property is 4.6 km from Natural Park S'Albufera de Mallorca; while Palma de Mallorca Airport is a 40-minute drive away. When would you like to stay at Record Maritim II? Please inform Record Maritim II in advance of your expected arrival time. You can use the Special Requests box when booking, or contact the property directly with the contact details provided in your confirmation. This property will not accommodate hen, stag or similar parties. A damage deposit of EUR 200 is required on arrival. This will be collected as a cash payment. You should be reimbursed on check-out. Your deposit will be refunded in full in cash, subject to an inspection of the property.